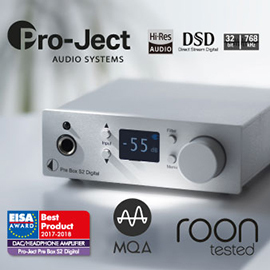 NAD calls its C 510 a Direct Digital preamp-DAC -- accurate as far as it goes, but it doesn’t really describe the device. I’d call the C 510 a versatile control center for a multisource digital sound system. replacing the traditional analog preamp, the C 510 removes the source of noise and distortion that can obscure detail and limit the performance of many systems. By performing preamp functions like volume and source selection in the digital domain, the C 510 shortens the signal path and opens up new system possibilities. The C 510’s dynamic range . . . is better by about 20dB compared to other DACs and preamps. And because the volume level is controlled by mathematics in the digital domain, there is no mechanical or electrical imprecision; all volume levels have exactly the same circuit conditions. Also, with the 35-bit architecture of the C 510, even 24-bit files are not truncated until well below the threshold of audibility. Twenty decibels represents a huge difference in dynamic range. Could the C 510 live up to the claims NAD is making for it? The C 510 looks like most NAD models: a nearly black, low-profile, rectangular box, this one measuring 17”W x 3.9”H x 12.1”D and weighing 10.3 pounds. 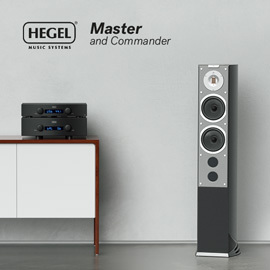 As stated on Internet discussion forums and confirmed by NAD, the C 510 is closely related to the NAD Masters Series M51 and M12, which sell for significantly more. A major difference from the M51 is that the C 510 has a convenient rotary volume control rather than up/down pushbuttons. The only other controls on its front panel are the standby power switch and pushbuttons for sources. At the center of the front panel, a fluorescent screen displays the input in use and the sampling rate for that input. Another major difference between the C 510 and the M12 is that, with the C 510, what you see is what you get -- it lacks such customization options as the M12’s subwoofer and digital outputs. But most users won’t miss them. The C 510’s well-labeled rear panel offers the user a versatile array of digital-only inputs: AES/EBU (XLR), optical (TosLink), S/PDIF (RCA), USB (Type B), and two HDMI. At first, I thought the inclusion of HDMI inputs and an HDMI output was odd, but it was explained to me that the C 510 can process the audio signal from a Blu-ray Disc while passing along the video signal to the HDMI output. The HDMI inputs also allow the C 510 to accept the high-bit-rate signal of an SACD or DVD-Audio player. In addition to HDMI, the C 510’s outputs comprise stereo analog balanced (XLR) and unbalanced (RCA), and an RS-232 jack for AMX- and Crestron-system compatibility. Also on the rear panel are a three-pronged IEC power receptacle and fuse bay, the main Power switch, and 12V trigger jacks so that the C 510 can communicate with other NAD components. The C 510 comes with a three-pronged IEC power cord of considerable bulk -- it’s substantially larger than the two-pronged cord that accompanies NAD’s more power-hungry C 275BEE power amp. Greg Stidsen, NAD’s director of technology and planning, said the larger cord provides extra grounding that should negate any radio-frequency interference (RFI) the C 510 might produce. That cord must do the job -- I had no problems with any other electronics in my house while the C 510 was operating. The C 510 comes with NAD’s standard warranty of two years for parts and labor. Based on my two decades of experience with NAD products, I doubt many will need to take advantage of that guarantee. There’s nothing magic about 35 bits, but it gives us 11 bits, or 66dB, of headroom. With this, we can make a “perfect” volume control. Unlike other digital [volume controls], we don’t truncate bits, and unlike analog [volume controls], we have a simple, uniform signal path, where every volume setting has exactly the same response. PCM does get converted to PWM, but with extreme precision and high sampling frequency, allowing a very simple output filter that has no phase shift in the audible band. A detailed description of my system is at the end of the review, but recently I’ve made many changes of source devices. First, I bought a computer that I’ve dedicated to music use: a Hewlett-Packard Elite 6000 with a 3.0GHz Intel Core 2 Duo CPU, 4.0GB of RAM, and an internal 160GB hard drive, running Windows 7 Professional (64-bit) and JRiver Media Center 19. My music is stored on an outboard 1TB USB drive. This combination fed the NAD C 510’s USB input. Other digital sources were a Cambridge Audio 650C CD player (S/PDIF output) and a Sony CDP-375CE CD changer (optical TosLink output). I did most of my listening via the NAD C 510’s USB input. This accepts signals of word lengths of up to 24 bits and sampling rates of up to 192kHz. To use a Windows computer to play audio files of the highest resolutions, I had to download a driver from NAD’s website, which I did; I was able to install it without problem. As is my custom, I first listened to “Bali Run,” from Fourplay’s Fourplay (24-bit/96kHz FLAC, Warner Bros.). Immediately apparent with the C 510 was that the music emerged from an absolutely “black” background. This track was recorded at a fairly low level -- a low signal/noise ratio in any component in the reproduction chain will be immediately audible. With the C 510, I heard nothing but the music. Each instrument was depicted very precisely, with good slam to the bass, crisp transients from the percussion, a very upfront presentation of the guitar and piano, and great detail in all of their sounds. Staying with the jazz thing, I played a fabulous remastering of Quincy Jones’s 1969 recording of Benny Golson’s “Killer Joe,” from a sampler titled Billboard Top Contemporary Jazz: Urban (16/44.1 FLAC, Rhino). The killer band includes major artists of the era: Freddie Hubbard and Snooky Young on trumpets, J.J. Johnson and Kai Winding on trombones, Roland Kirk and Hubert Laws on reeds, Toots Thielemans on harmonica and guitar, Bob James on electric piano, Grady Tate on drums. The soundstage width was exceptional, with lots of detail from each instrument. I heard some drum licks I hadn’t heard before, neither from a 45rpm record I have of this tune, nor from the datastream through any other DAC. Very cool! The only thing missing was greater depth of soundstage. A detour into rock: “Born to Run,” from Bruce Springsteen’s Greatest Hits (16/44.1 FLAC, Columbia). Not only did this track rock, it opened up a new dimension to my listening. It had real soundstage depth, with Springsteen out front, the E Street Band just behind him, and Max Weinberg’s drums at the rear. Springsteen and producer Jon Landau really nailed the Phil Spector “Wall of Sound” approach on this track, and the C 510 brought it out in fabulous detail, despite the multitude of sounds blasting at me. Especially inspired was the glockenspiel part (keyboardist Danny Federici more than earned his keep in this session). Bruce and his band were in my room. And again, the background was absolutely “black”: no hiss -- or anything else -- to deter me from the music. Returning to hi-rez recordings, I dipped into the marvelous 2L-TWBAS 2012 Sampler (24/176.4 FLAC, 2L/SoundStageRecordings.com) and French composer Eugène Bozza’s Children’s Overture, performed by the Staff Band of the Norwegian Armed Forces. Orchestral recordings made by the US label Telarc are known among audiophiles for the Telarc Boom -- the prominent sound of the bass drum heard in many of their classical releases. Well, now there’s the 2L Boom -- through the C 510, the sound of the bass drum in the Children’s Overture was the tightest I’ve ever heard. It was boom with no overhang, no slop -- absolute precision. The rest of the Staff Band plays with exceptional verve, but their sounds, too, were precise, and the clarity was a revelation. The reeds were unusually distinct; the brass were near perfect, with no unnatural “blat.” The soundstage was wide and deep. I then turned to the Allegro affettuoso (La Notte) of Ole Borneman Bull’s Concerto Fantastico, also from the 2L-TWBAS 2012 Sampler. Bull (1810-1880) was called “the Norwegian Paganini,” and the solo-violin part he wrote for himself here calls attention to his skill: this is no score for amateur fiddlers. This performance is by violinist Annar Follesø, with Ole Kristian Ruud leading the Norwegian Radio Orchestra. The recording venue wasn’t anything that could be called “live” -- yet, through the C 510, it sounded not dry or lifeless but clean and tight. Every detail was there: the violin’s upper registers were as clean as could be, with no shrillness. I was blown away by the combination of detail, slam, dynamic range, and outstanding soundstage width and depth. Switching to the S/PDIF output of the Cambridge Audio Azur 650C CD player, I sampled several favorite CDs. First was “Lovin’ Sound,” from The Best of Ian & Sylvia (CD, Vanguard VCD 79516). This has always been a favorite of mine from the Canadian duo, dating back to its first release, in 1967, on MGM Records. Trust me, this mastering is worlds better than that original LP. There’s little of the tape hiss audible on vinyl, and there’s great detail in both voices, especially Sylvia’s, and a fabulous soundstage. For instance, the drum roll at the beginning sounds flatulent on the LP. On the CD, through the C 510, it sounded dynamic, like a real drum roll. Sylvia’s naturally husky voice has a bit of an edge on the CD, while Ian’s clear tenor has a timbre not usually associated with that vocal range. All of this was precisely reproduced by the C 510. Joan Osborne’s cover of the Band’s “The Weight” is one of many fabulous cuts on her How Sweet It Is (CD, Compendia 9365). Playing the CD through the C 510, I noticed greater detail in her higher register and in the sounds of the instruments. Also, Osborne was way out in front of her band, with her backing singers not far behind her, between her and the band -- something I hadn’t noticed before. The soundstage width and depth were as good as I’ve heard through any system. And the instruments were presented with weight (pun intended). Another favorite is “50 Ways to Leave Your Lover,” from The Essential Paul Simon (CD, Warner Bros. 159420). I’d always felt that Still Crazy After All These Years, the original LP from which it was taken, provided the best-sounding version of this track. But having heard this compilation CD through the NAD C 510, I’ve changed my mind. Everything about this recording was more intense. I pay a lot of attention to drum rolls -- they indicate how well a system reproduces transients -- and these drum rolls were clean and dynamic. Through the C 510, Simon’s voice sounded more expressive, more detailed, more alive. I have two copies of the original LP. I may never listen to either of them again. Comparing the C 510 with my normal setup of HRT Music Streamer II+ and Linn Majik IP preamp was a bit more difficult: I had to swap analog interconnects from the C 510 to the Majik. The Music Streamer II+ was good, especially given its age (I reviewed and bought mine in 2011). Its sound tended toward the solid and meaty -- a bit more bass and lower-midrange emphasis -- than did the C 510’s. However, the C 510 was slightly more evenhanded across the audioband, and offered more delicate detail and bottom-end slam. The NAD C 510 is as profoundly stunning an audio component as I’ve heard. Its technology is up to the minute. Its flexibility is as good as it gets. But its sound . . . The C 510's reproduction of recorded sound was as nearly perfect as I’ve heard in 50 years of serious listening. And the higher the resolution of the signal fed to it, the better it sounded -- as you’d expect, of course, but even better than you might expect! Bottom line: If you’ve moved to an all-digital system or are contemplating doing so, you owe it to yourself to listen to a C 510. It’s an exceptional achievement, especially considering its reasonable price.